The month of September has arrived and Malaga and its surrounding towns and villages are bursting with food fairs and festivals, offering a wonderful opportunity to discover charming inland villages, their traditions and their people, all centred around traditional cooking and the marvellous local seasonal products. We recommend some fairs and festivals from the villages in Malaga province taking place this month. Note them in your diary! This year Casabermeja celebrates the 10th anniversary of this festival, which is centres around the Malagueña goat, a breed which is local to this province, and which will be duly treated as star of the show throughout the festival. Cheese-making workshop, donkey rides, honey tastings, tapas competitions, circular bus tour around all the monuments and participating restaurants... these are just some of the activities on offer to both local residents and visitors so that they can familiarise themselves more with the goat product market. 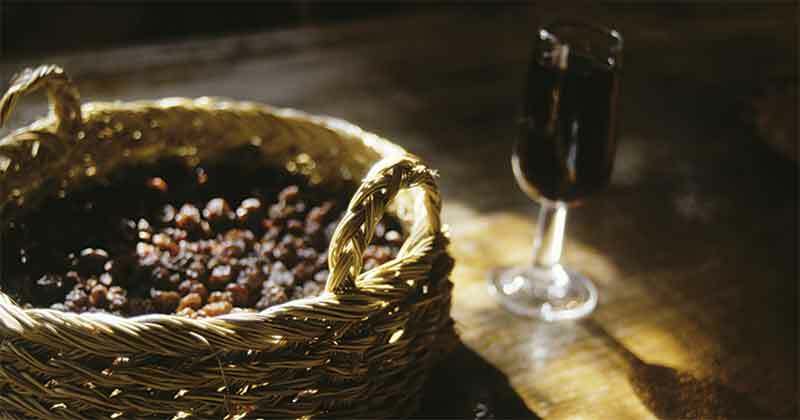 The raisin is one of the most emblematic products of inland Malaga. Right in the middle of the Axarquía region they continue to use the natural sun drying process, unlike in other areas, which gives them a unique flavour. El Borge is the main muscatel raisin producer in Spain, and so naturally it goes that every year they hold a festival dedicated to this delicacy. During the day there are demonstrations of the tasks involved in their preparation and also tastings of not only raisins, but also typical wine and cured meats from the area. At this festival, Rincón de la Victoria waves goodbye to the summer and pays homage to the most celebrated product in its cuisine at its Day of the Victoriano Anchovy. Throughout the weekend, tastings take place of all manner of typical products, as well as competitions, exhibitions and performances. An essential festival for savouring seaside cuisine of this locality. Cheese lovers must not miss a fair like this, the Teba Artisan Cheese Fair. In this town in the Guadalteba Valley the main cheese producers from all over Spain and, particularly, from Andalusia come together. Idiazábal, Tetilla, Torta del Casar and Mahón-Menorca are some of the designations of origin to be discovered by visitors. Visitors will also be able to enjoy a competition involving desserts prepared by the local residents using the fair’s starring product, as well as a wide range of leisure, cultural and gastronomic activities. 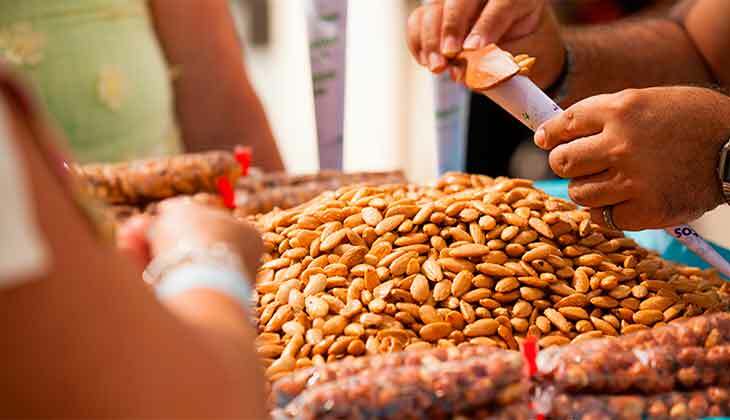 On the last Sunday in September the village of Almogía celebrates the Day of the Almond, putting centre stage this product and its associated processes. Other local products are also promoted with tastings of traditional dishes such as chanfaina (a rice dish), almond-based desserts and muscatel wine. The restaurants in the area get involved by cooking up special recipes to mark the occasion. Not to mention the show by traditional folk performers (panda de verdiales), in the true style of Almogía. Other activities happening throughout the festival include animation workshops for children and the demonstration of traditional trades connected to the almond, such as saddle-making and basket-weaving.